To nurture, advance and protect the health and well-being of children. 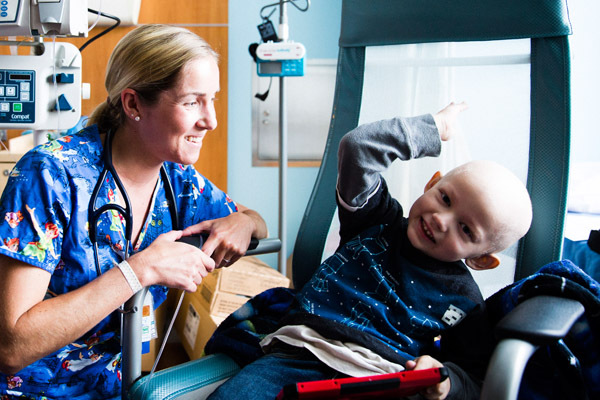 CHOC Children’s Hospital and CHOC Children’s Mission are designated pediatric healthcare training facilities to multiple academic institutions in California. These rotations are scheduled in the spring for the upcoming Fall and Spring rotations. CHOC is a part of the OCLB Consortium and most of our rotations are approved through the consortium. Please contact your academic institution to see if they are granted clinical nursing rotations at CHOC Children’s or contact our Academic Affiliations Coordinator for more information. CHOC Children’s goal is to provide high quality educational experiences for students. We support over 80 regional schools and place over one thousand students each year. Spaces for these programs are limited and selection of the students is coordinated through advisors/instructors at the listed schools. Please reach out to your school instructor/advisor regarding one of these opportunities. If your school has instructed you to apply, please proceed to the Student Portal tab. Due to the complexity and severity of illness and injuries sustained by the children we treat, CHOC Children’s does not offer observations/shadowing opportunities with the exception of certain students/professionals who’s education requirements are to observe/shadow a physician. For more information regarding that program, please contact our Academic Affiliations Coordinator Becky Krell at AcademicAffiliations@choc.org or 714-509-8419.